You belly bothers you the most when it is over sized! It always a very hard time for you to get comforted in your favorite jeans or to fit into the dress you bought last year. Also when you sleep it comes in between and provides you discomfort. Al this indicate to one solution that you really need to implement some changes in your lifestyle and also address it. As belly fat can result in severe bad effects to your health and body shape as well if it is not addressed at the right time. A it not only look bad is also creates many disturbances. Most of the people are such who have good physique but there fat belly destroys everything in their personality. It is always recommended to do some exercise as it is proved to be the best way to lose belly fat. In this article there are various 10 different belly hitting exercises’ that you may do If you are really serious about losing weight. You need to take out some time out of your day to get that fat thing in shape. This is the best type out of all that burns stomach fat easier and that is crunches. Crunches has always remain in the top rank to reduce belly fat according to some fitness experts. It is really important to take it in your routine start doing abs-crunching exercises to your daily routine. You need to place your hand behind your head/ under the back head. Take a breath in deeply. Then exhale as you lift slowly the upper torso off the floor. Again repeat the same that is simply inhale when you get back down and then exhale as you come up. For the beginners you must start by doing crunches 10 times per set. And each day, you must be able to accomplish two to three sets of crunches. This one will have more effective and will be more results-oriented belly exercise. Twist crunches includes a twist in your regular crunches. In this you have to touch your left elbow with your right knee and visa versa. Always keep the left torso on the ground. Do about 10 per set when you are starting out for the first time. At least have an aim for two to three sets of twist crunches in your daily routine. This is more or less same as the twist crunch formation routine. The only thing different is that you must do is by a tilt in your legs to the same side with your shoulders are. The side crunch focuses more on the muscles on your side bulges that are pumping out. Do about two to three sets of side crunches (10 times per set) every day. This one is an awesome exercise for women especially. This is like the twist crunch exercise. Tilt the legs behind simultaneously with the shoulders. It is considered one of the best abdominal exercises for attacking the lower belly fat. Then one knee that is crossed over the other. Do about 12-16 crunches for two to three sets. Cycling is always a fun exercise to do. You can never get to old to do it. Cycling is really awesome for your legs and abdomen belly that no other exercise is. It is good that you have a real bicycle and not the one which is in the gym. Well, there is one more and most effective way to perform cycling even when you do not have a cycle. That is just by lying down on the floor straight. Move one leg up in the air and then bend your knee at 90 degrees. It is better if you do it with both the legs together like a real cycle. One round is completed when you take a circle with both the legs together. Do at least 15 rounds daily per set. And do set of 3. The rolling plank attacks the major areas of your body those are body muscles around the abdomen, hip and lower back. Lie yourself on the mat or on the floor with the knees and elbows resting on the ground freely. Keep your neck aligned with the spine. Now look forward. Then lift the knees up and support the legs on the toes. Contract your both knees and keep your breathing normally at a pace. This is the plank pose. Now try to stay in this position for 30 seconds. Repeat with the other side too if you are doing one by one. Walking is the best practice that one can opt for. Well it is not always necessary to especially go out and walk. You must take stairs instead of lift. Only by improving some habits you can really be at a better side. Run as fast as you can. Release all you anger out by running. Running is best both psychologically and physically. You must never ever opt for a fixed routine as do not let the body get used to something. Running will surely cut down you extra fat and it is really effective as well. Running in any near ground or park will help for sure. 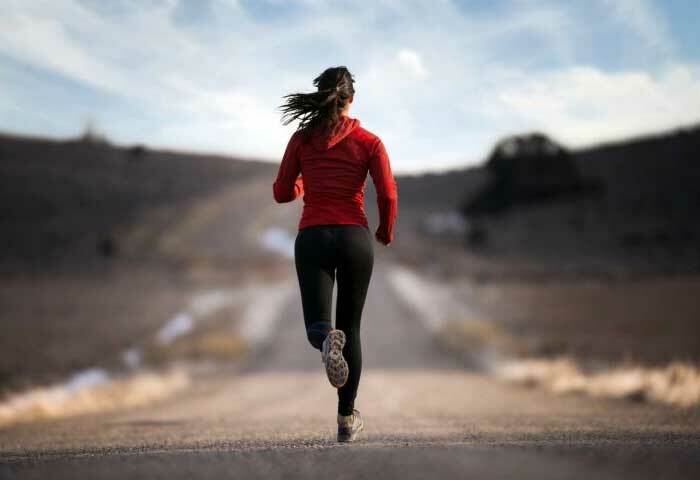 Jogging is the best workout for your body as a whole. It does affect your belly but it is an overall workout for your body. If you as some people do not like running or some are not able to run so it is better to try jogging. This is a very good form of aerobic exercise that is awesome to cut down fat and staying fit. How to Tone Your Inner Thighs Fast?